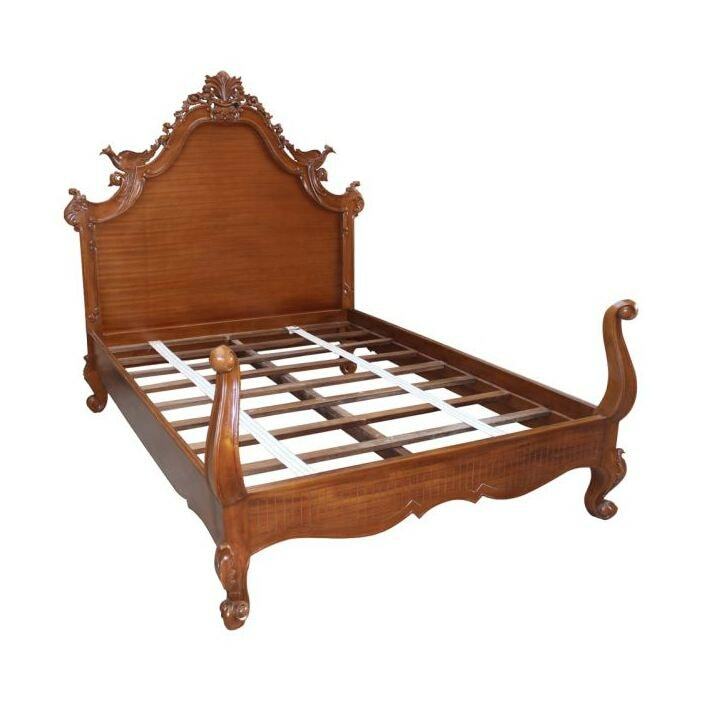 Hand carved and beautifully finished antique French bed. Soft curves and delicate carving are the features of this wonderful range. This peacock Bed is the ultimate in 'boudoir elegance', inspired from the 18th century where elegance and luxury were the order of the day. Working superbly either on its own or complimented with our stunning shabby chic furniture, you are sure to be impressed.